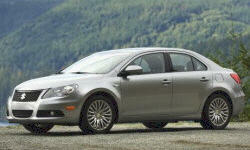 Why the 2012 Suzuki Kizashi? I own a new 2012 Kizashi GTS AWD, that I have accrued 2k miles on. I really like the style of this car, from the wide, flared front fenders, to the short, cropped, rear deck lid. As many others have said, it's very much like the '06 Jetta, though in my own opinion, the Kizashi looks much better, more upscale, more muscular. The fit, finish, and materials are of decent quality. I think better than many of the Kizashi's competitors. The dash does have some hard plastics, but they are a cut above in quality, and texture. 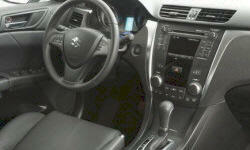 There is also a lot of soft touch material used throughout the Kizashi cabin. All of the controls have a nice, tactical feel as well, from the awesome, Rockford Fosgate audio system, the climate controls, to the window, and lighting switches. All of this comes together in a very understated, classic appearance. With the CVT, I'm averaging 28 mpg. From a performance standpoint, I think the Kizashi has some of the best brakes you can find on a car anywhere near its price-range. To go along with that, the electronic steering actually has real feedback, and the suspension strikes a great balance between sport, and comfortable cruising, The 2.4L four is very smooth, with good to torque, and matches up very well with CVT. Off-the-line performance is probably its weakest issue, but in everyday driving, I have absolutely no problems. Getting up to speed to merg, or pass on the freeway is accomplished easily. I can't wait to test the AWD. Why Not the 2012 Suzuki Kizashi? This is the only issue I have with this car, the tires. At this price, they should really include a nice set of quality all-weather tires. These Dunlop's don't have a very good rating in snow, or other wet conditions. I mean, really, this is an AWD car, give it the rubber to match.